The fully booked inaugural ITB China will take place from May 10 to 12 and around 600 organisations and companies will be represented in the new marketplace of the Chinese travel industry. 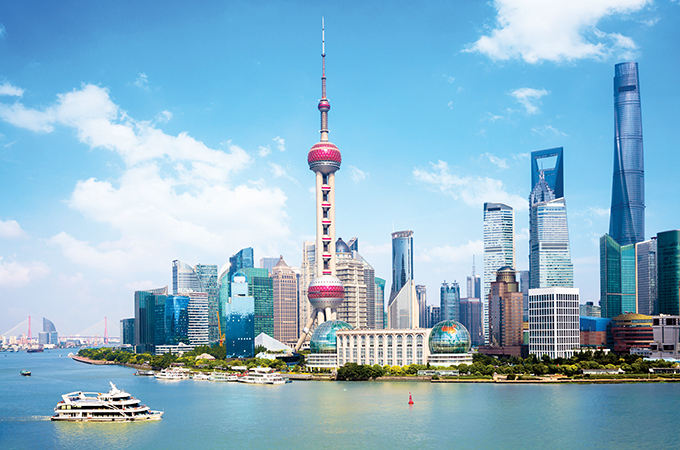 ITB China will take place in Shanghai, one of the leading industrial cities in China with a population of around 23 million. The three-day business to business travel trade fair will focus exclusively on the Chinese travel industry. With a 12 per cent increase in spending, China led international outbound tourism in 2016. International tourism expenditure from China grew by $11 billion to $261 billion last year. The number of outbound travellers rose 6 per cent to 135 million in the year, according to a UNWTO report. This growth consolidates China’s position as number one source market in the world since 2012, following a trend of double-digit growth in tourism expenditure every year since 2004. In its first edition, ITB China's spotlight is on Europe, the official partner destination of the event. A dedicated Europe Pavilion will showcase the multitude of European tourism products and destinations among which are confirmed national presences of Belgium, Czech Republic, Estonia, Hungary, Latvia, Lithuania, Serbia and Germany. In addition to the Europe pavilion, ITB China will show strong individual presences of other major European destinations such as Austria, Finland, Greece, Portugal as well as Turkey building the bridge between Europe and Asia. The growth potential of countries from the Middle East and the Americas is also well reflected at ITB China. Major exhibitors from the Middle East are Abu Dhabi Tourism & Culture Authority, Jordan Tourism Board, Ras Al Khaimah Tourism Development Authority and Sharjah Commerce and Tourism Development Authority. The Americas exhibition segment will cover both American continents featuring exhibitors coming from Canada, the US, Ecuador, Peru, Bolivia and Argentina. Among the major hotels showcasing their portfolio at ITB China are: Best Western Hotels and Resorts, the Jinjiang group, the Pan Pacific Hotels Group, The Ascott, Maritim Hotels and the Carlson Rezidor Hotel Group. The event, being organised by Messe Berlin, will take place at the Shanghai World Expo Exhibition and Conference Center. Its co-organiser is TravelDaily China, a leading online news portal and organiser of travel industry conferences. Attendees of ITB China can look forward to an exciting conference programme, where newest trends and innovation of Chinese and the global travel industry are presented. One of the highlights is the speech of Rungang Zhang, vice-chairman and secretary general of China Tourism Association, China’s biggest travel industry association. The impressive keynote line-up on the opening day of the conference will be furthermore enriched by a keynote held by Friedrich Joussen, the CEO of TUI Group. An exclusive CEO interview of Jane Sun, CEO of Ctrip, will be held by the founder of Phocuswright Philip Wolf providing in-depth insights on China’s biggest online travel agency. ITB China introduces an exhibition area exclusively dedicated to online travel and travel technology solutions: The eTravel World China. Visitors can find established travel technology companies as well as newcomers in this area, including Amadeus, AsiaPay, Derby Soft, Expedia Affiliate Network, iGola, ISO Travel Solutions, jinnangtuan.com, Lushu, Quadlabs Technologies, Sociomantic, The Travelbook Group, vakatrip.com and many more. “China is one of the most important markets for Booking.com and we are absolutely delighted to be part of the first ever ITB China. We are looking forward to continuing to build new relationships with accomodation providers and offer value added such as Booking Suite, Travel Agents Tool to help our partners grow at a very competitive marketplace,” said Anthony Lu, general manager partner services China, Booking.com. The exhibition segment is flanked by a dedicated Online Travel and Travel Technology Day (May 11) at ITB China Conference providing attendees with exclusive developments in this area. In addition, companies have the chance to present their newest travel solutions to the audience at destination showcase slots to be held at a separate on-floor presentation area.